For the Humber Gateway project, 3Sun will provide teams of technicians for the offshore mechanical and electrical completion of the V112-3.0MW wind turbines. 3sun Group, under its subsidiary Dawson Energy, last worked with Vestas in 2001 and has installed more than 160 of their turbines for onshore wind farms. Heretofore, 3Sun Group has never worked with Vestas on an offshore project. 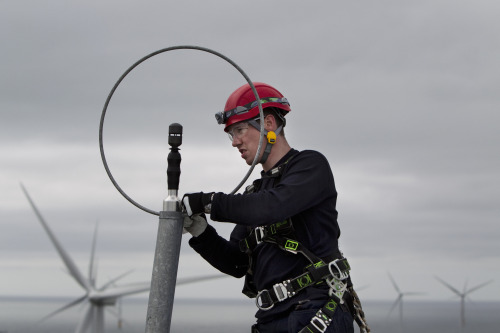 The contract involves the company providing teams of technicians for the offshore mechanical and electrical completion of the V112-3.0MW wind turbines, and signifies MHI Vestas Offshore’s first project in the UK offshore market since the establishment of the joint venture company between Vestas and Mitsubishi Heavy Industries. The work off the coast of North East Yorkshire will take place from bases at Grimsby over a 14-week period. “We are delighted to be able to work with MHI Vestas Offshore Wind again on their return to the UK offshore market and to win this contract," said Andrew Elmes, renewables director, 3sun Group. "It is hoped that this project will help us forge an excellent relationship with MHI Vestas." 3sun Group has helped build and maintain some of the most notable projects in the industry, such as Griffin Forest, Greater Gabbard and London Array, currently the world’s largest offshore wind farm. The Group also has a contract to install a prototype model of the 7.0 MW Mitsubishi Sea Angel offshore turbine, at the SSE test site in Hunterston, which is expected to get underway this autumn. Successful installation of the first Humber Gateway turbine was completed on 29 July -- ahead of the initial schedule -- and the project is due to be completed in spring 2015.